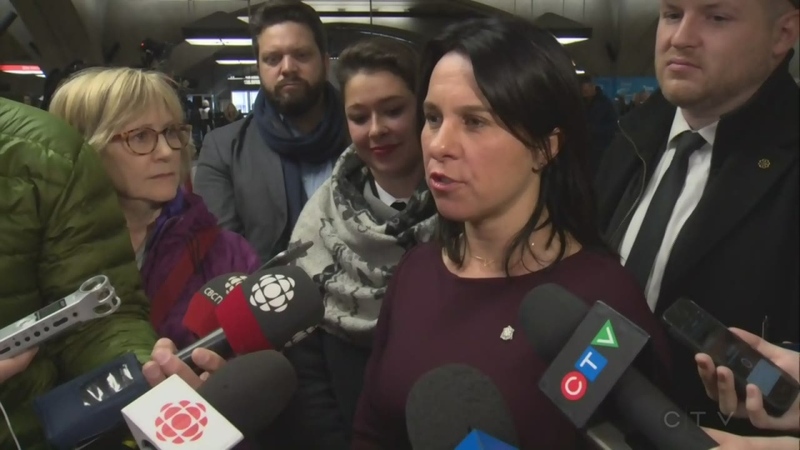 Montreal Mayor Valerie Plante said she’s proud of what she’s accomplished in her first year, despite a new poll that finds 44 per cent of voters already want change. Plante marked her first year in office Monday by pressing the flesh inside Bonaventure metro station. “This is how it all started a year ago where we decided to go and say hello to Montrealers who decided to give us their trust,” she said. When asked, Plante said her greatest accomplishment was initiating the purchase of 300 hybrid STM buses that are scheduled to be operational in 2020. She was also proud of increasing subsidies for families that wished to purchase homes in Montreal, and the increase in range of car-sharing programs. Plante said she was also glad that Camillien Houde Way was closed to through traffic over Mount Royal claiming it made the mountain safer. "I like to say that last year was a transition budget and we've said it a few times. This time it's our budget. You're going to see our priorities being put forward in this budget. 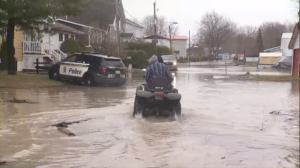 Money being dedicated to some of the priorities that we have which is mobility, housing, supporting businesses as well," said Plante. Plante acknowledged that there have been some low points, too – problems with snow removal and icy sidewalks, and a broken campaign promise that she would not raise taxes beyond the rate of inflation. Plante denies she broke the promise, though, saying the tax hike was justified because the city needed to replace water infrastructure. “We did this big effort last year with the water tax and I stand behind this tax because it was absolutely necessary,” she said. “To this day, she still hasn't admitted that she broke that promise,” countered opposition leader Lionel Perez, who was not as enthusiastic about Plante's first year. He said the decisions to close Camillien-Houde Way and to close the softball field at Jeanne-Mance Park showed a heavy-handedness by Projet Montreal that was geared solely towards its base. “They really just razed the baseball field without any kind of consultation, so we see a tendency to think they know what everyone wants and they're only governing for their base, not for all of Montrealers,” he said. A Leger/Journal de Montreal poll found that 42 per cent of Montrealers were happy with Plante's performance as mayor, while 44 per cent wanted a change. That's where previous mayor Denis Coderre was in his third year in office, and the year before Plante won the mayorship. However most voters are ignorant of anyone else involved in municipal politics: fewer than half could name the leader of the opposition, and only 10 per cent would vote for Perez as mayor. According to the poll, about 60 per cent of voters were upset with municipal taxes. Plante had promised to limit an increase to the rate of inflation but actually hiked them by an average of 3 per cent. Fifty-nine per cent said they were satisfied with the city's cultural life, while half were satisfied with how public services were managed. Forty-four per cent said they were unhappy with public transit, and 68 per cent were frustrated with traffic flow. The poll surveyed 500 people online from Oct. 25 until Nov. 1, and has a margin of error of 4.4 per cent, 19 times out of 20.